Shachi Mehra had planned her whole life to become a doctor. Luckily for us, her sister suggested a career in the culinary arts and Chef Shachi never looked back. BORN IN INDIA AND RAISED IN NEW JERSEY, Chef Shachi grew up feasting on the expert-quality home cooking of her mother. She enjoyed all types of cuisine including Indian food and as official “taster” of the house, developed a sophisticated palate at a very young age. When Chef Shachi was eleven she lived in India for two years and she believes those years greatly shaped who she is as a person today. Chef Shachi only began to consider making her hobby of cooking into a career after she worked for a doctor who absolutely loved his job. She knew that she wanted to be as happy and as passionate as he was in her own profession. Soon after her sister suggested culinary school, Shachi got the chance to speak to the executive chef of Trapprock in New Jersey and he offered her a job on the spot. restaurant in D.C. where many of the chefs had never worked with a woman before. From the loud and “screamy” environment of Trapprock, to the near silent kitchen at Paowalla and many successful restaurants in Southern California, Chef Shachi gained experience in a variety of culinary settings. 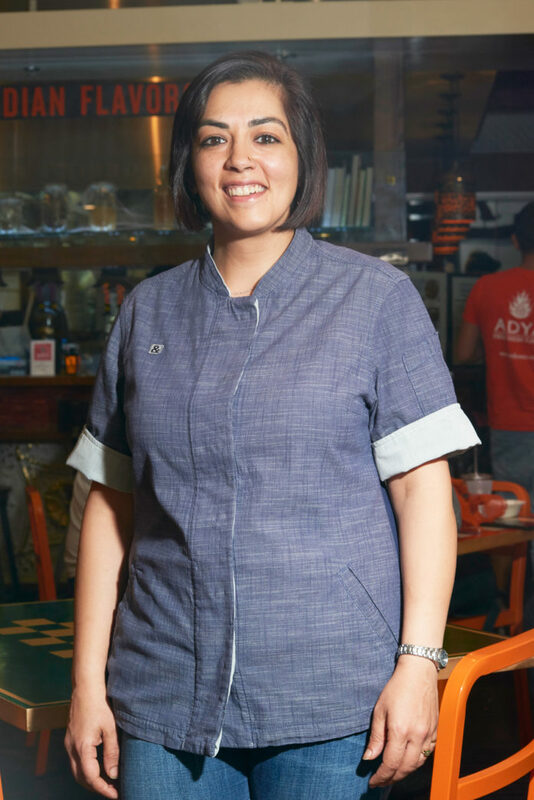 Experiencing hands-on cooking in India, Japan, Australia, Peru, Austria, Czech Republic, Prague, London, France and the U.S. also made Chef Shachi Mehra a well-rounded culinary force. 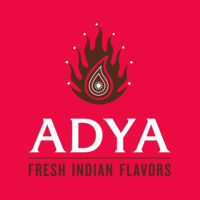 All of her experiences she says, led her to the vision she had for Adya (aw-dee-uh). helpful staff turns first-timers into regulars. 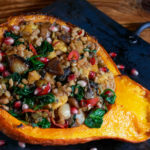 Chef firmly believes that the energy you put into your cooking will affect the final outcome of the dish. She says that if you cook while you’re angry, the dish will be a disappointment. From tasting Chef Shachi’s food, it is clear that she puts passion, love and special attention to detail in every dish she makes.